If you’re contemplating starting a low carb diet to help you lose weight or reduce fat, most likely you have a lot of questions and concerns. What constitutes a low carb diet? How will this diet plan benefit your health? While there are benefits to a low carb diet, it’s best to speak with your weight loss doctor before embarking on a low carbohydrate diet. A low carb diet isn’t just about cutting out starchy and sugary foods, although that’s a big part of it. It also includes substituting carbs with high quality protein and some quality fats as well. A popular misconception is that a low carb diet is a quick-fix, or a short-term weight loss strategy. However, in reality, consuming a low amount of carbs is about an overall lifestyle change. When many of us eat large volumes of carbohydrates, we often store them as body fat. With the exception of dietary fiber, all carbohydrates are ultimately broken down by the digestive system into simple sugars. Keep in mind that the body will not typically burn fat when it has a constant supply of sugar to burn. Conversely, a lack of sugar forces the body to burn fat for energy, which is a win-win for those looking for weight loss solution. 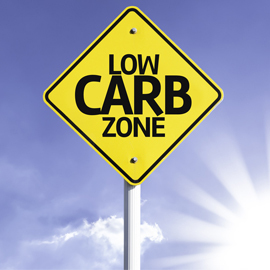 Other benefits of a low carb diet include stabilization in insulin levels. This happens because the pancreas is less taxed to pump out large volumes of insulin in response to sugar intake. Without the dips and surges in your insulin production, blood sugar becomes more stabilized. When you are burning fat for energy, ketones will be produced, which get eliminated through urination. The overall result includes less food cravings, reduced blood sugar swings, improved hunger control, fat loss, and ultimately weight loss!